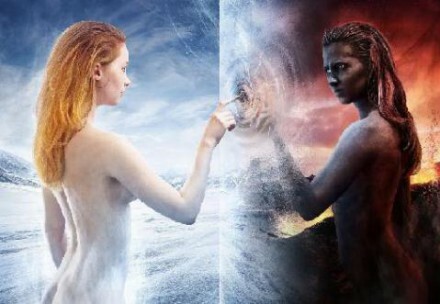 WE ARE ENERGY – BEINGS We are of a fifth-dimensional consciousness and can utilize the option to exist in upgraded humans bodes if we wish to. Many of us choose to and many of us don’t, but when we’re able to exist openly on your world unhindered, we’ll each take bodies in the initial stages of contact so as not to overwhelm your collective with our presence as beings of energy. 29/12 Luminosity is your inner Light. Luminosity is cognition, the capacity to know. Luminosity is awareness, for Light is a synonym for AWARENESS AND CONNECTION with the true beauty of your Soul. Your body is changing. Your mind is changing. Your emotions are changing. You are changing, because you have elected during this lifetime to experience rapid cellular and spiritual growth. You have chosen to transition your being from dense, heavy molecules to higher, finer and lighter multi-dimensional Crystalline energy. As you go through this ‘ascension’ process, a journey takes place. You feel urged to rid yourself of all that weighs you down: physically, mentally, emotionally. You must, quite literally, ‘become the Light’. You will be peeling away many layers of artificiality, false constructs, pretences, masks and veils that have lain over your True Self. You will want to reveal who you really are, and express this Truth to the world. It will become ever and increasingly urgent and pressing to Live As Light, to only live authentically, from the very depths of your heart. As more and more Light is given to you to be absorbed through the energy bodies and chakra system, you will ‘awaken’ to your Calling, or True Divine Mission on Earth. You will not be able to resist this Calling, and everything that goes with it. The Light is irresistible, because it forms the Web that surrounds the entire planet and connects us to Universal Love. You must step forward, without fear or regret. You must listen to what Spirit is showing you now as the Highest Way, the Purest Way, the Way that is Love. You have a different path to the one that you may have imagined, long ago. It is all turning out differently. This is normal, and quite as it must be. You are not who you thought you were. You are a Light Bringer, a Beloved Carrier of alchemical energies that are perfectly coded to bring about a radical transformation upon this planet. You are here to tip the balance from Fear to Love. You are here to spread Love, and do it with every fibre of your being. There is nothing else that is now possible. Your New Life is Calling, and today you will experience a significant shift towards embracing everything that resonates with the Sacred Truth inside you. ✎ At this time in history, we are evolving very rapidly as a human species. The evolution of our species, the Homo sapien, is a quantum leap to an immortal species with 48 chromosomes that have 12 physical strands of DNA and 10 etheric strands of DNA. Our three-dimensional biology is being alchemically shifted from CARBON-BASED matter into that of multi-dimensional Silicon Crystal. James Gilliland, a Southern California native, is an author, teacher, ufologist, spiritual counselor, energetic healer, and the founder of the Enlightened Contact with Extraterrestrial Intelligence (ECETI) organization. He studied 6 years of Yoga, and has received The Teaching of the Inner Christ certificate and the Rigdzin Norbu (“Jewel of Pure Awareness”) certificate. Gilliland is also featured in two videos, Project Contact , and The Keys to Utopia . After a Near Death experience, James was expanded into what he calls interdimensional mind. This greater awareness brought him into a greater understanding of the vast interdimensional multiverses in which we live. Catch up with the Last and most up to date shows in 2016 by subscribing to this channel. (Stillness in the Storm Editor) There are several points to consider when reviewing the below article. Firstly, the fact that Melania Trump plagiarized Michelle Obama’s speech from 2008 suggests that—while Donald Trump might not be a Cabal puppet—he is obviously using the same kind of manipulation tactics to get ahead in the race. He may not be establishment in the sense that he outright works for the Cabal but he is clearly using some of the same tricks. Secondly, and this is arguably the most important point, CNN is the one who released this story—not a conspiracy theory website—but one of the front and center elite arms of the propaganda machine. In doing so, CNN alerted the public to a not uncommon trend that most in the awakening community already know—that elections are rigged, a kind of staged puppet show to deceive the sleeping masses and manufacture the consent of the governed.